We often associate metallic colours with things like jewelry, cars, or metal fixtures. 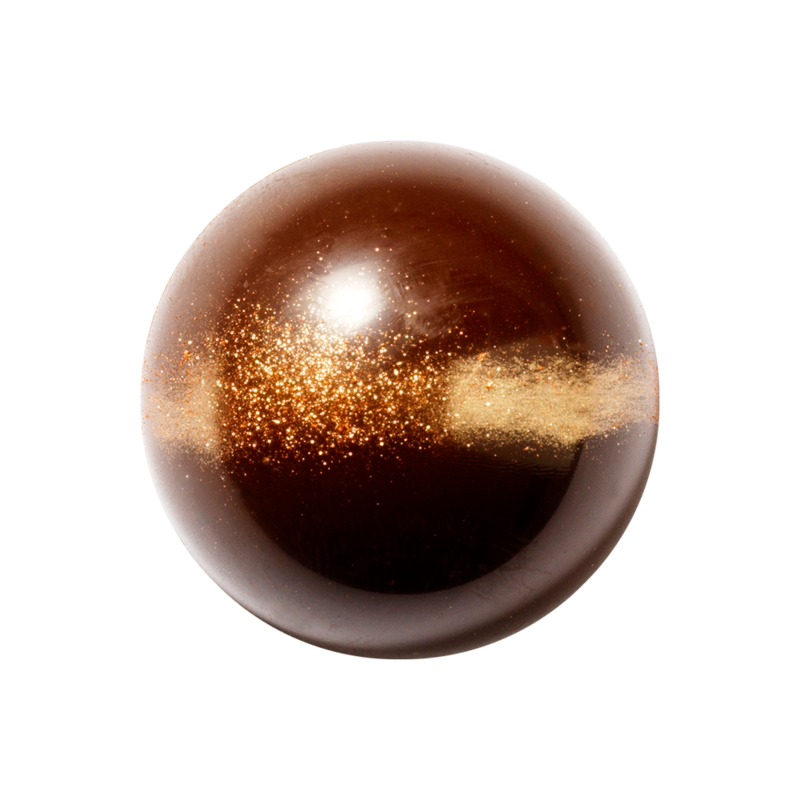 However, gold, silver, and bronze are the ultimate colours to give your desserts, confectionary and chocolate creations an instant feel of elegance. Perhaps it's the time we are living in, with great changes in the field of technology, that have made this colour so popular? Even when you’re on a budget you can easily bring a bit of glamorous, gold garnish into your life (Creative market, Kate England). Gradients can be a great way to illustrate a realistic metallic effect. The contrasting light and dark colours from your metallic palette causes that glimmering look. 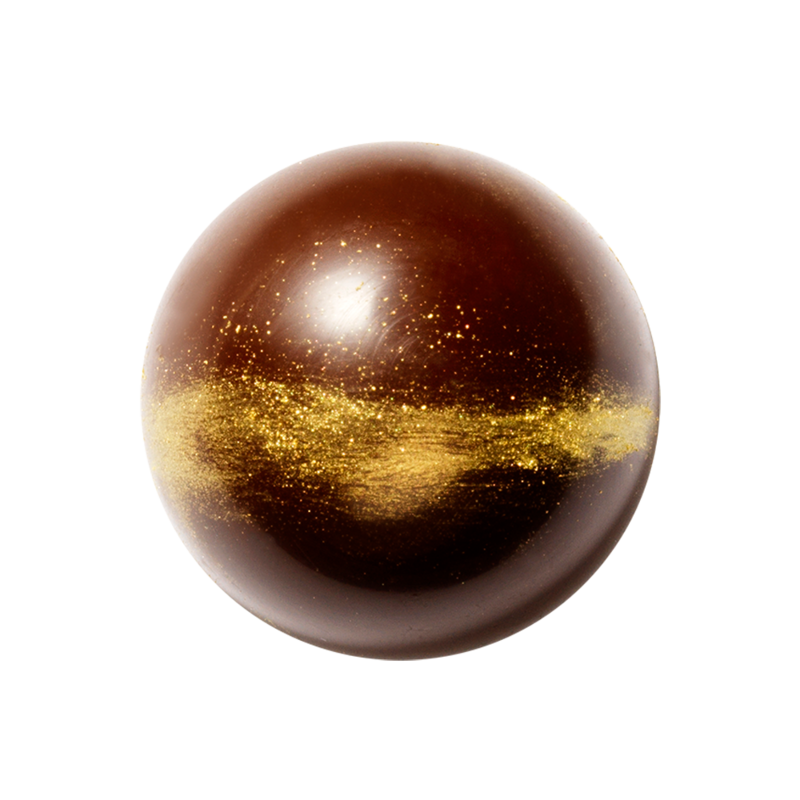 These simple pralines have been glitz with Mona Lisa gold, bronze and silver metallic powders, resulting in a unique and premium look and feel. 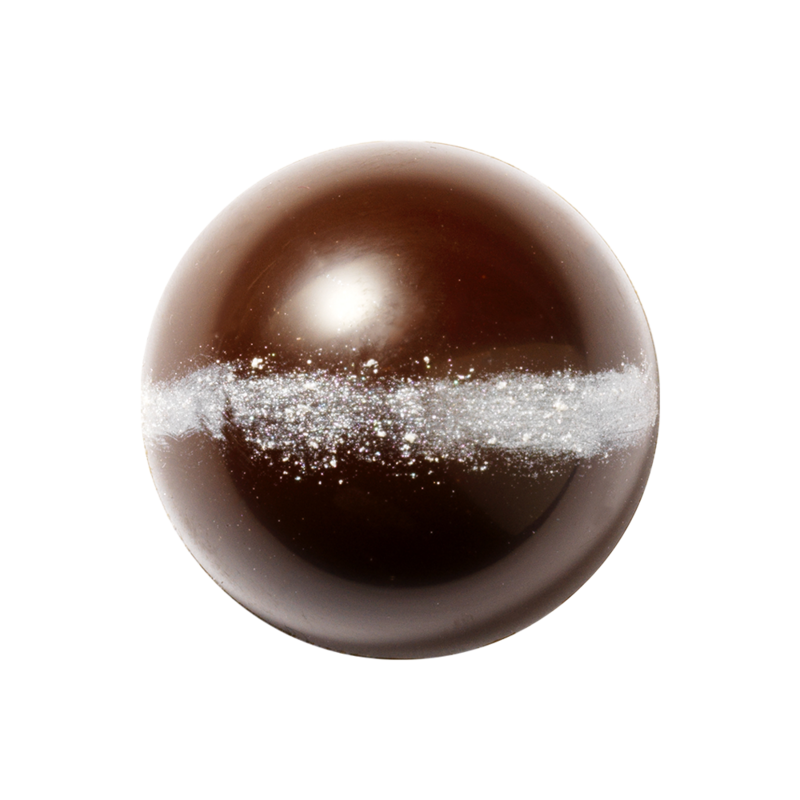 These less “Foodie” colours give you, as a chef, the opportunity to surprise your customers’ taste buds with a burst of indulgent, creamy and smooth chocolate - the ultimate way to grasp your customers’ attention! Why not use Mona Lisa metallic powders to brush over chocolate blossoms, mocha beans and other chocolate decorations? Mark Seaman used them to portray a feel of instant luxury.